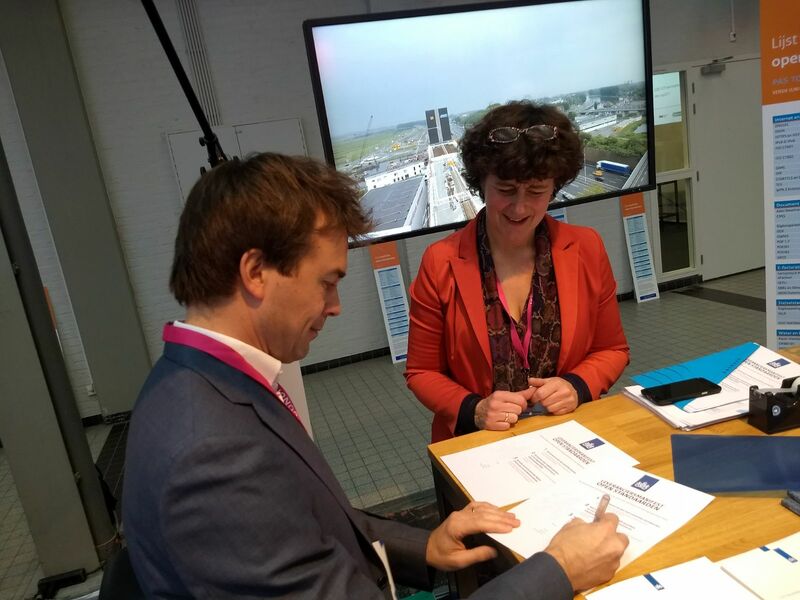 Last week, Kopano’s CEO Brian Joseph signed the open standards suppliers manifesto of the Standardization Forum at the ECP Annual Conference in The Hague, The Netherlands. As a member of the advisory board of The Document Foundation (TDF), Kopano is one of the frontrunners in Europe to establish open standards for office and mail applications. The Standardization Forum aims to promote interoperability and vendor independence through the use of open standards for digital data exchange in the public sector. Want to see who else signed the manifesto? Check out the complete list of suppliers on the website of the Standardization Forum. Visit the Kopano website to see which open standards Kopano supports. The Standardization Forum is part of ECP (Platform for the Information Society), a Dutch, independent and neutral platform where government, business and social organizations work together and exchange knowledge about the impact on and responsible application of new technologies in Dutch society. For its annual conference, ECP invited government bodies and businesses to discuss the building blocks of the digital society, from trends such as cloud computing, big data and blockchain to essential prerequisites like digital skills, privacy and cybersecurity. Because of the GDPR coming into effect in May 2018, data privacy was high on the agenda. As ICT lawyer Arnoud Engelfriet already mentioned in our latest news article, the GDPR is going to change a lot of things in Europe. Not only will it broaden the concept of personal data significantly, it will also introduce a lot of new compliance rules companies will have to take into account. For The National Privacy Benchmark 2017, ECP and consultancy agency Verdonck, Klooster & Associates looked into the GDPR readiness of organizations. Their report shows that 9 out of 10 companies surveyed say they have protocols for data leaks. At the same time, about a quarter of the people did not answer yes to the question whether they would have confidence in the handling of personal data as a customer of their own organization. As a vendor of a self-hosted open source solution, we think it is important that people are in control of their data and aware of the impact of the GDPR on the US and EU cloud. To start you in the right direction, we published a whitepaper by privacy expert Dan Shearer and an interview with ICT lawyer Arnoud Engelfriet which you can find on our website. Skype for Web Ended Support for Firefox, Opera and Safari. So What?